CG PET 2019 Syllabus has been Available on 19th March 2019. 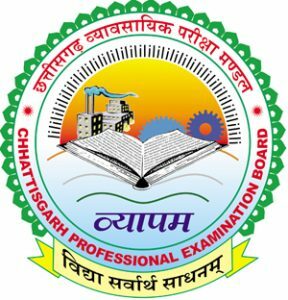 The CG PET is referred as Chhattisgarh Pre Engineering Test, which is approached by Chhattisgarh Professional Examination Board and there is a large number of candidates may appear for this examination to get admission in the various professional government colleges and institutes of the Chhattisgarh State. The candidates can attend the examination of CG PET after filling the application form through online mode. The candidates should be eligible to give the examination of CG PET and before filling the application form, they have to check their eligibility criteria. There is engineering, dairy technology, agriculture technology courses are provided through CG colleges and institutes. Through this content, the applicants will be able to know the complete information of CG PET in which includes CG PET Syllabus, exam pattern, etc. CG PET 2019 Syllabus has been Available on 19th March 2019. Click Here to Check Syllabus. Candidates have to read and complete carefully the syllabus topics and sub-topics to prepare the best for the exam. Those candidates are getting admission in B.Tech Courses; they have to prefer the syllabus along with all subtopics to score the good marks in the examination. Theories of acids and base hydrolysis of salts: pH: buffers. If you any query regarding CG PET Syllabus 2019, you can ask your query leave comments below.